Since 1984, M&M has represented the finest names in the industry! 40,000 customers worldwide can't be wrong! Are you getting the best value for your purchasing dollar on your PROCESS or HVAC Controls, Gauges and Valves? Are you utilizing the latest advances that the industry has to offer? Are your processes as efficient as they ought to be? If you answered "no" to any of these questions, you should be talking to the sales professionals from M&M Control. We are an established leader in the distribution of Valves, Instrumentation and Controls. Our products all come with a manufacturers warranty. We also service and rebuild equipment, which come with a full maintenance and servicing warranty by our reliable and experienced staff. Let our sales engineers customize a control system for your particular needs. 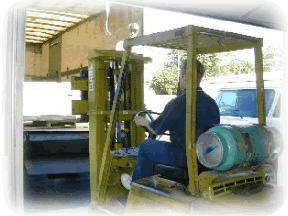 With our large inventory, your order will be processed the minute you order. Contact M&M Control Service and experience the difference! Our specially trained representatives have over 125 years of combined experience and are standing by, waiting to help you. About Keckley: The Keckley Company was established in 1914 with its initial focus on steam and liquid control equipment. Since then, Keckley engineering and manufacturing has advanced industry and commercial building installations worldwide, expanding its product line to fill the needs of the industry. Today the company is a premier reliable valve and strainer manufacturer and its products are used in a wide variety of industries such as bottling companies, airports, steel mills, pulp & paper facilities, global pharmaceutical companies, U.S. military facilities, ships, trucks, dams, power generation, global petrochemical refineries, manufacturing facilities, hospitals, and stadiums. M&M Control offers a full line of Keckley products. For additional product detail for industrial & commercial pipeline strainers, liquid & gas pipeline check valves, ball valves, knife gate valves, float & lever valves, control valves, and suction diffuser & triple duty valves, please refer to our Keckley pages or give us a call today! · Strainers: Keckley's industrial and commercial pipeline strainers are designed for a wide variety of applications where protection from foreign matter in a pipeline is required: Y-strainers offer a compact and economical means of straining debris from pipelines. 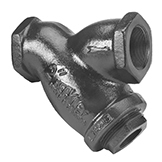 Simplex basket strainers are used in piping applications where a greater screen area to pipe area ratio is required. Keckley duplex continuous flow basket strainers are used where the process cannot be shut down for maintenance. · Float & Lever Valves: Keckley float and lever valves excel in their engineering, performance, and features. Float valves are actuated lever valves designed to control the level of liquids. Lever valves are designed to control the flow of liquids, gases or steam. This can be done by manual operation, float boxes or mechanisms, electric motors or other actuators through linkage to the lever of the valve. The No. 7 and 77 pilot controlled float valves are recommended when tight closing is essential. · Check Valves: Keckley liquid and gas pipeline check valves are designed for liquid or gas applications where protection from flow reversal in a pipeline is required. Check valve types include wafer body DD (double disc), wafer silent, and globe silent check valves. 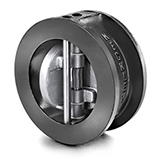 Each valve has advantages and disadvantages over the other, but all three outperform and outlast conventional swing check valves when installed properly. · Knife Gate Valves: Keckley manufactures low pressure flanged and fabricated KGV knife gate valves that have a large port. Keckley's knife gate valve provides a low pressure drop across the valve and is better suited to handle slurries, solids, and other fluid/solid mixtures than average plug valves, butterfly valves, or ball valves. Call us TODAY about our special pricing or discounts! Since 1984, M&M has provided exceptional customer service, pricing, delivery and industry knowledge to over 40,000 customers worldwide. At M&M, everyone is our preferred customer! Come join the "M&M Family!"